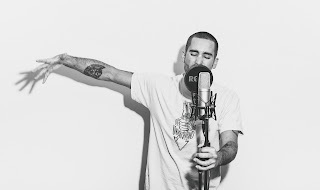 Australian MC Optimystic releases latest LP "Salty Waterz" (Audio) - Hip Hop Indie Music: Support Indie Hip Hop Dreamers, Lifestyle. OptiMystic rallies up some of the illest legendary emcee's in Hip-Hop culture including Sticky Fingaz, Fredro Starr & Sonny Seeza (Onyx), M.O.P, Smif-N-Wessun, Rockness Monsta (Heltah Skeltah), Mr Cheeks (Lost Boyz), Cappadonna (Wu-Tang), Afu-Ra, Rampage The Last Boy Scout (Flipmode Squad), Bizzy Bone (Bone Thugs-N-Harmony), Canibus, Chip-Fu (Fu-Schnickens), Wise Intelligent (Poor Righteous Teacher's), Kali Ranks, U.G. (Cella Dwellas), Mic Handz, Sickflo and countless other pioneers. The 18-track album is set to go down in Hip-Hop books as the first grown out of the Australian soils reaching out onto a worldwide scale. The quick-witted MC set to create a masterpiece that exudes and embodies the culture and era of boom bap that’s influenced him as an MC. The mastered monstrosity of “Salty Waterz” does just that with its overflow of catchy hooks, clever wordplay, classic storytelling, and explosive verses.